I was going to say that I love Tanglin Mall because it houses a lot of shops you can’t find elsewhere, but I just discovered like 5 seconds ago that the Cafe Beviamo in Tanglin Mall that I love so much has opened a 2nd branch at Paragon. Still, that doesn’t take away the fact that I like Cafe Beviamo very much. If you’ve been following my blog, you will realise that I pay a lot of emphasis on the decor of the place. I like to go to places that take me away from the mundane-ness of Singapore. I like places that make me dream and leave me feeling inspired. It’s hard to explain and if you’re not that kind of person, you probably won’t understand what I am saying. Still, I try not to blog about places where the food is just not up to scratch. So if you’re a person that judges a place solely by the quality of the food, you can still read on. For me, I judge based on the whole package. Or better still, I like to think that I don’t judge, I just absorb and enjoy. I like the open concept of Cafe Beviamo. You can watch the baristas brewing your coffee and preparing your meals. I also love the cookie jars placed on the counter. When I grow up, I want to have a huge kitchen counter where I will place endless bottles of cookies, chocolates and sweets just for my viewing pleasure. The thing I want to shout about here are the scones and the coffee. I like a good strong latte and Cafe Beviamo delivers just the right concoction. You can see from the colour of the foam on the latte. None of that coffee flavoured milk that many cheapo cafes offer, thank you very much. 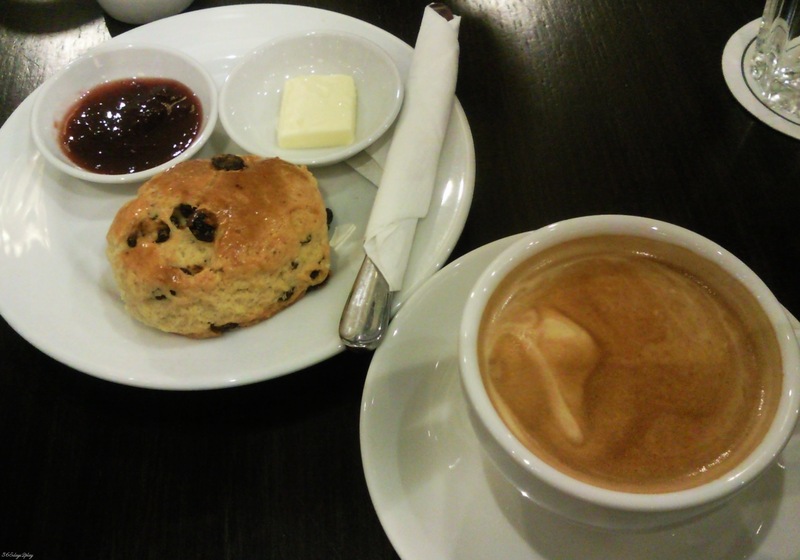 The scones are also delicious and buttery, just the right accompaniment for the coffee. I seldom order cake with coffee if you notice, because I only like chocolate cake and the richness of chocolate cakes ends up hindering me from tasting the full flavours of the coffee. Cafes cafes cafes I love cafes! 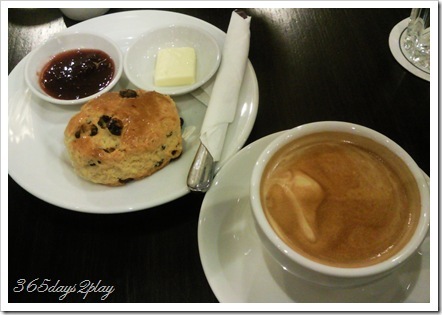 I should make a list of the top ten cafes in Singapore, 365days2play’s definitive guide to the top 10 cafes in Singapore….